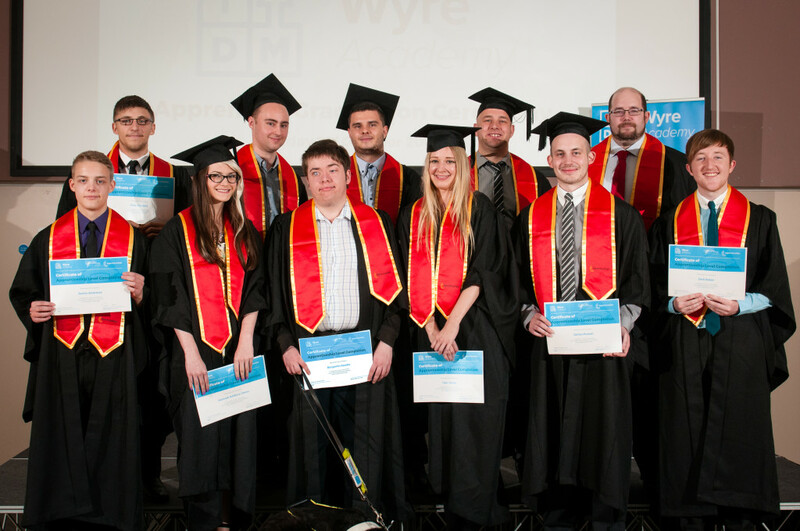 Apprentices from TDM Wyre Academy have been honoured at a graduation ceremony, attended by family, friends, employers, trainers and assessors. The apprentices, employed at a range of organisations around Worcestershire and the Midlands, have completed their apprenticeships across a wide range of IT disciplines, including Information Systems, Software Development, Web Design, and IT Support. This year there were 46 graduating apprentices, with 11 attending the ceremony at St. George’s Hall, Bewdley. Graduation certificates were presented by, Derrin Kent and Duncan Carson from the TDM Wyre Academy. The apprentice graduates were also joined by guest of honour, John Pritchard, Director of Apprenticeships, Standards and Quality of the Tech Partnership. Apprentices were present from organisations across Worcestershire and the Midlands, including AVL, Dolphin Computer Access, Datascan Retail Systems, King Charles I School, Oosha IT, Sanctuary Group, Southall School and UK Oak Doors. TDM Wyre Academy, a specialist training provider established in 2010, works with employers and young people across Worcestershire and the Midlands to deliver Tech Industry Gold accredited IT apprenticeships and Digital Marketing apprenticeships. TDM Wyre Academy ICT Apprenticeships provide school and college leavers with fantastic opportunities to develop their careers in the exciting and rapidly growing IT & Digital sectors. TDM Wyre Academy apprenticeships are Tech Partnership approved as Tech Gold and offer high quality work based learning programmes, combining genuine employment and mentoring with training and assessment provided by qualified and experienced IT practitioners and educators. Tech Industry Gold apprenticeships are licensed by tech employers as delivering high quality learning and development that meet the skills needs for employment in the sector. Employer members of the Tech Industry Gold network share best practice, benefit from online resources, and contribute to the tech sector’s work in increasing uptake of apprenticeships. Tech Industry Gold apprentices benefit from industry – developed course standards, supported by up-to-date online resources, ensuring that they develop the technical, business and interpersonal skills to make a swift contribution to their employers.